Gears and Cables There are 3 products. Maxigras 50 Gear is a high apparent viscosity lubricant grease, formulated with semi-synthetic bases and additives with high capacity to withstand large loads (extreme pressure). 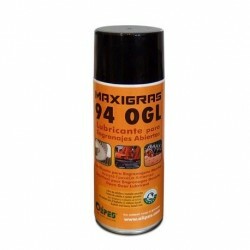 Maxigras 49 WR is a semi-synthetic pseudoplastic lubricant of high viscosity and adhesion, capable of providing optimum elastohydrodynamic lubrication.